Have you ever gotten caught up in believing that you just need to accept something about yourself or your experience that doesn’t feel right? Probably. Doesn’t everyone in the world of wellness and spirituality teach us to practice acceptance? 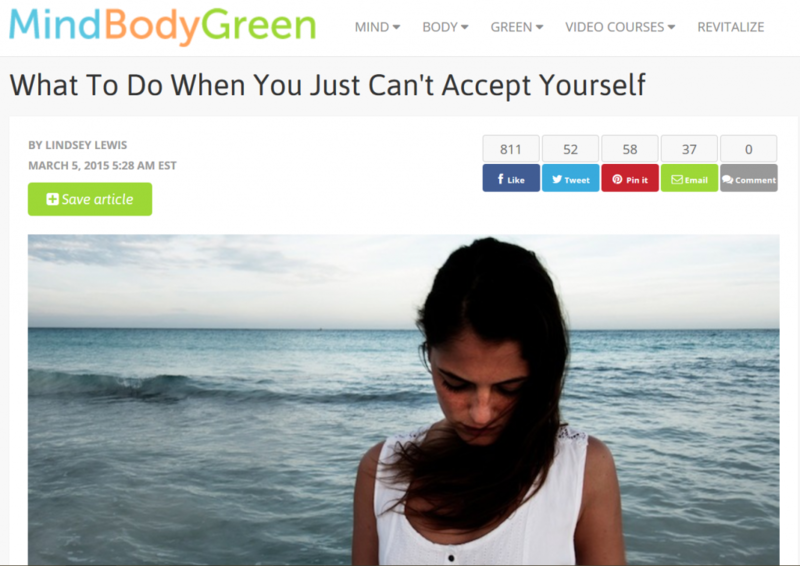 Well, if you’ve struggled with practicing the art of acceptance, then this article is for you. If you’ve found yourself frustrated or sad or angry time after time when trying to arrive at a place of acceptance, you aren’t flawed. Sometimes the advice to “just accept the way things are” doesn’t cut it. Lacey was overwhelmed. A visionary entrepreneur with a business intended to transform the environment around her, she noticed she was falling into a tailspin when her four kids were all home together in the same room. She’d be helping one with her homework and the others would either be asking for attention and/or then fighting with each other. It was just too much for her. My first response was to tell Lacey, “Well, that’s just the way it is.” I’m not unkind or callous. Accepting what is allows us to find flexibility and space in hard situations. It helps us not feel stuck. That said, there was a “loud” silence as Lacey processed my response. We then talked some more about what was so bad about her experience. During the conversation, she discovered a connection to some old patterns and negative ways of thinking. Identifying this allowed Lacey to feel more empowered, and feel less bound up in the intensity of her current situation. The next time we spoke about her home-life stress, Lacey admitted, “Now that I’ve found a way to be less reactive, my kids are less reactive.” This statement reflects what I see as a universal truth. Lacey had recognized her power, and by doing so, had transformed her reality. Acceptance of “what is” just the first step. The next one is actively realizing our power to transform. To align with our power, we must stop identifying ourselves as victims. Then and only then can we make external changes that reflect what we deserve. OK. I know I said that we’d go beyond acceptance, but this is just the first, preliminary step. Knowing that you are cultivating the practice of acceptance is not just a means to an end. You are making a choice to realize that something isn’t right for you. That is a truth, and one that you can accept. In doing so, you are making a choice to arrive at a place of greater empowerment, no longer waiting for something outside you to change. 2. Invite yourself to ask tough questions. Specifically, ask yourself questions that have transformative potential. Specifically, ask yourself this: If I am the only person who can transform this situation, what does that change for me? If nobody besides you can bring you the outcome you desire, what does that mean? It means that you need to own your difficulty, and ask questions that you may not want to ask. 3. Align with your power. What does this mean? Visualize yourself physically stepping into a place of strength. Know that your situation is happening for a reason. This is a little different from “just accepting.” It is realizing that difficulty is always an opportunity. You are facing challenges to help yourself realize your innate capacity to create new situations, and to strengthen your knowledge that this is always available to you. Just Be: Way to Self Love or Way to Get Stuck in a Rut? I saw this article on MBG a while back, Lindsey. Great read!